“Thanks to Dr. Antolak my smile is now beautiful, and I’ll never be afraid of going to the dentist again." Transform an average smile into a terrific smile! Dental care services in a comfortable, caring environment. Welcome to The Gentle Dentist in Shelby Township! We are glad you are visiting us today. The “Gentle” Dentist is not just a name that we call our business, but it is a name that we stand behind. If you are seeking a truly gentle dentist, friendly staff, advanced technology, and a warm atmosphere, then you have found the right place. If you are nervous or even downright terrified of the dentist, we will meet you where you are and will help to ease your fears. Our Shelby Twp. dental team wants to take the journey with you and help to make the dentist office a place where you actually feel a sense of peace. If necessary, we even offer sedation dentistry which allows you to sleep while we do dental procedures that may make you uneasy. If you are having unexpected pain or discomfort in your mouth, we do try our very best to take same-day dental emergencies. At The Gentle Dentist, our services include general dentistry, dental implants, cosmetic dentistry, and even headache relief to name a few. We have digital x-rays, and additionally we are one of the few dentists in the area to have a cone beam CT scanner which has the ability to take 3-D images. We see people of all ages and accommodate to their needs. We want to sincerely listen to your needs first and then work together to establish the best course of action. Furthermore, we believe prevention is of utmost importance and encourage all patients to come in routinely for their cleanings and check-up exams. “We use our God given talents and abilities to serve all with Christ like compassion by listening to their needs first and then delivering individualized uncompromised care with respect and integrity”. What makes us different than everywhere else? We believe God has called us to serve you through dentistry. We profess our Christian faith through our actions. At The Gentle Dentist our morning starts with a prayer, and we would love to pray for you if you have specific requests or if you would like even before we start a procedure. Our purpose isn’t just to acquire more patients but honestly to make patients our friends. We are excited to meet you and take this journey with you. When you call us today we will answer the phone with, “How may we help you smile?” And really, how can we make you smile? Because our goal is to make you smile! Enjoy a beautiful smile with all the confidence it radiates. Teeth whitening will brighten your smile. Porcelain veneers or crowns can help restore the natural appearance and beauty of damaged teeth. Cosmetic Dentist Robert V. Antolak will help you gain a healthy and winning smile. If dental fear, a gag reflex or difficulty getting your mouth numb has prevented you from taking care of your dental health and smile, this sedation dentist can make treatment easy and comfortable. Sedation dentistry simply requires taking a small pill prior to treatment to create a relaxed feeling and have virtually no memory of the visit so you remain conscious but do not feel pain during treatment. If missing teeth or loose dentures have prevented you from smiling confidently or eating the foods you like, dental implants may be the solution. Your Shelby cosmetic dentist can replace one tooth or many with dental implants to enhance your smile and make eating completely comfortable again. A Shelby charter Township Dentistry winner of the 2015 Patients' Choice Awards. 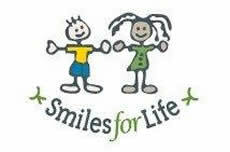 "The Smiles for Life" campaign just ended and we raised $1500 for the SandCastle's Grief Support Program. Thanks to all the patients who whitened their teeth as 100% was donated to this charity. Thank you for being a patient at The Gentle Dentist. Has your experience with our office been great? Leave a review for us on Google+, Facebook or Yelp by clicking on the icons below.